Gringo Trails is a feature-length documentary that follows the stories of travelers and locals in Bolivia, Thailand, Mali, and Bhutan to explore the dramatic impact of travel and tourism around the world over the past 30 years, and offers examples of sustainable alternatives. Gringo Trails follows the well-worn travelers’ route known as the ‘gringo trail’ through Latin America and beyond to Africa and Asia, revealing the complex relationships between colliding cultures: host countries hungry for financial security and the tourists who provide it in their quest for authentic experiences. 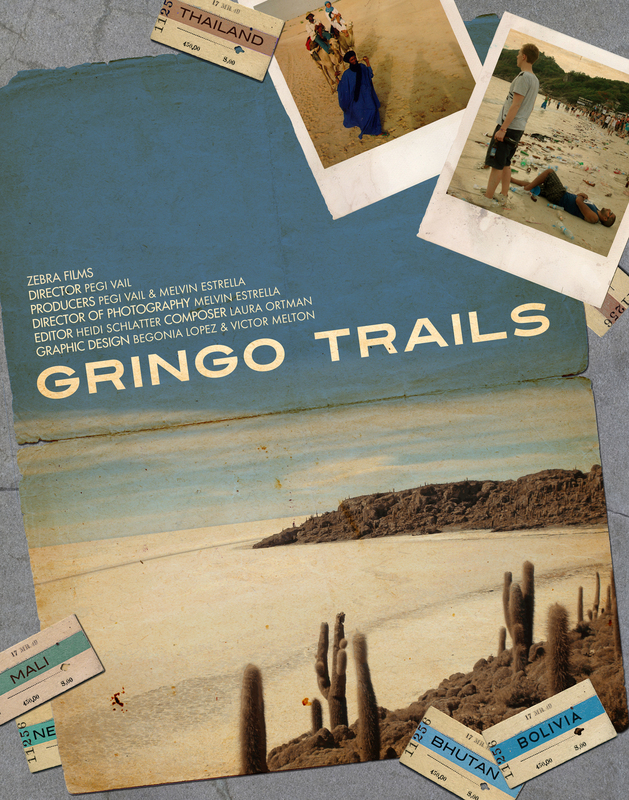 Gringo Trails first takes us on a harrowing journey with one man’s story of getting lost in the Bolivian jungle in 1981 that has had an unexpected effect on future generations. We meet the original inhabitant of an island on the Salt Flats of Bolivia as he faces the dilemma of trying to preserve its ecosystem while still allowing outsiders to experience its unique magic. We see the unintended but devastating impact of a traveler’s search for an ‘unspoiled’ paradise in Thailand and the ethical quandries of locals in a position to profit from tourism. We follow a woman’s personal transformation as her romantic fantasies about ‘the unknown’ meet reality in Timbuktu. We also meet locals worldwide as they express the desire for visitors to better understand how to respectfully walk on their sacred lands. Fredo Lazaro Ticoma (caretaker of Inkawasi island in the Salar de Uyuni, Bolivia), Tico Tudela (Fluvial Tours), Freddy Limaco and Guido Mamani (Co-founders, Chalalán Ecolodge), Kempo Tashi (National Museum in Bhutan), Sangay Wangchuk (Royal Family, Bhutan), Costas Christ (National Geographic Editor at Large), Yossi Ghinsberg (author, Jungle), Pico Iyer (travel essayist and novelist), Lina Brocchieri, Holly Morris (Globe Trekker, Adventure Divas), Anja Mutic (travel writer, Lonely Planet), Rolf Potts (author, Marco Polo Didn’t Go There), Brook Silva-Braga (filmmaker, A Map for Saturday) and Ernest White a/k/a Fly Brother.